Hungary is the 57th-largest economy in the world and one of the most dynamic and strong economies in Central and Eastern Europe. Hungary is an export-oriented market economy which gives priority to foreign trade. Industry is the main economic sector of Hungary, the major industries being: energy production, chemicals, heavy industry (metallurgy, machine and steel production, mining), food industry and automobile production (Audi has built the largest engine manufacturing company of Europe in Hungary and Opel produces here some of its cars such as Vectra and Astra). Hungary's agriculture is mainly export-oriented. The country produces sunflower, sugar beet, wheat, potato, corn and fruits (pear, apple, grape, peach, plum). It is also the 2nd largest producer and exporter of foie gras. Hungary is self sufficient in terms of agriculture due to the fact that about 50 percent of the country's area is covered by arable land. Hungary also has one of the largest underground water reserves in Europe. Tourism is another important economic sector, with Budapest and Lake Balaton being the top country's tourist attractions. Hungary is also famous for its thermal baths and more than 50 spa hotels. Hungary is the 40th largest export economy in the world. The most exports go to France, Italy, Germany, Romania, Austria. Hungarian exports of cars, such as Suzuki, Opel and Audi, represent 17 percent of the total country's exports. The most important exports of Hungary are: cars, vehicle parts, apparel, chemicals, wine, textiles, machinery, transport equipment, packaged medicaments, cereals, iron and steel. Hungary has a favorable geographical position, it is well-linked with Western Europe and the 4 main European transportation corridors traverse it. Such a position gives Hungary direct access to the entire market area of Eastern Europe and Balkans. Generally, Hungary is characterized by a strong economic growth comparative to other European countries. The country has an advanced, free-market economy. The predominant economic sectors are industry and services. Sectors like services, automotive, biotechnology, electronics, renewable energy industries contributed a lot to the country's economic growth. The government encourages investment in renewable energy sources ans plans to increase renewable energy production to 15 percent of total energy resources by 2020. Hungary's pharmaceutical industry is one the most developed in Eastern Europe. Because Hungary is a member of the European Union 76 percent of goods are imported from other EU members. Other major import partners are China, Russia, Germany, Slovakia, Austria. The main Hungary's imports are: electricity, fuels, plastics, medical equipment, rubber, integrated circuits, air pumps, engine parts, insulated wire, raw aluminium, copper wire. Hungary is a country situared in Central Europe, bordered by Slovakia, Romania, Serbia, Croatia, Slovenia, Austria and Ukraine. The country is a member of the European Union, NATO, the OECD, the Visegrád Group, and the Schengen Area. 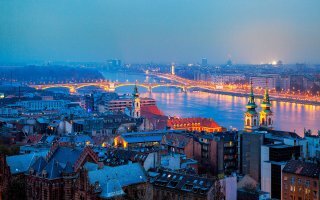 Hungary is a member of the EU and applies its harmonized VAT, customs and excise regulations. Hungary applies the EU common external tariff which has an average level of 3.6%. Thre tariff assessment and all other customs procedures take place at the first port of entry into the European Union. 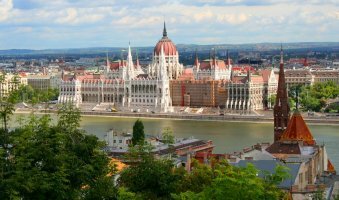 Hungary applies a value added tax of 27% on most imports and a 8% VAT on products such as dairy, bakery and commercial accommodation services. Imported goods must be accompanied by a EU phytosanitary certificates (for plants, fruits and vegetables), sanitary health certificates (for animal products) and import licenses. All these certificates must be available in English and Hungarian. Information on the label is permitted to be wtitten in one or more official languages of the EU, except from allergen information, which must appear in Hungarian.